One of the best ways to make income from your land while simultaneously improving the long term health and value of your forest is through a well planned and administered timber harvest. We don’t work with just any Vermont or New Hampshire logging contractor – when it comes to cutting your trees. Only the most professional, conscientious New Hampshire and Vermont loggers and logging contractors work with us. 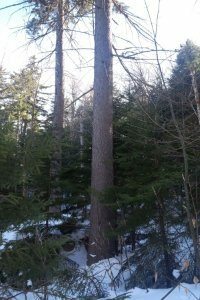 Proper planning goes into the process thus insuring New Hampshire and Vermont landowners have a timber harvest that leaves them satisfied with the results. We reduce the stress without leaving your woods a mess! Well maintained boundary lines are the modern day equivalent of a good fence. Ignore them at your peril. Boundary lines offer one of the least expensive yet most valuable forms of protection for the savvy New Hampshire and Vermont forest landowner. Proper maintenance deters timber theft, trespassing, encroachment and expensive resurveying. A little money spent on your lines today, can save you large headaches and costs in the future. Your property is best managed according to a plan. A plan helps you to know what steps should be taken to best achieve the goals you have for your land. Its also a necessary first step for enrollment in the Vermont Use Value and New Hampshire Current Use property tax reduction program. Looking to bring more wildlife onto your property? We can manage the forest and fields to do just that. Whether you are a bird watcher, hunter or just plain nature enthusiast we have the tools to create habitat for all creatures big and small. Forestland is a great long- term investment. Over a 25 year period (1987-2012) it outperformed the stock market. It has traditionally increased at an annual rate higher than inflation. 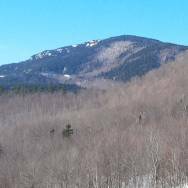 Interested in acquiring New Hampshire or Vermont forestland, but not sure about how to go about it? Knowing the value of your uncut forestland is a key component for making savvy financial decisions for your land. The volume is determined through the use of a statistically based process known as a timber cruise. The value is determined from prices received for timber from recently completed timber harvests. These numbers are then condensed into a report. Are you an out of state landowner? Or maybe just so busy, you don’t have any spare time to walk your land? With exotic insects, timber trespass, illicit drug activity, and other illegal activities on the rise – it’s important to know what’s taking place on your “back-forty” Let the experts at Stillwater Forestry LLC provide forest security for you. Stellar reputation for delivering on our promises! If you are looking for Forest Management Services in New Hampshire or Vermont then please call 1-800-237-9253 or complete our online request form.